Beanies and berets are not only a way to warm themselves in cold weather. But it is also a way to cover an uncomfortable hairstyle or the day when the hair seems to be naughty. In addition, it is a very stylish and beautiful way to decorate the head. 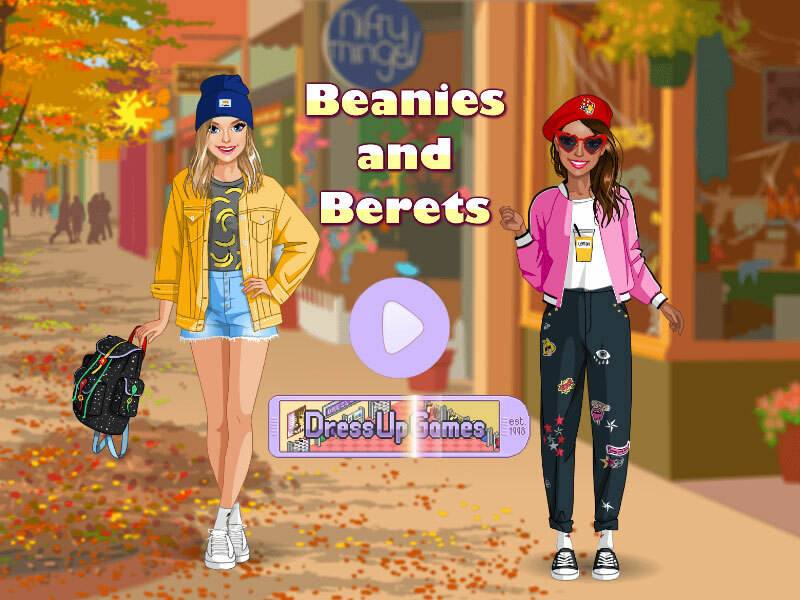 In this game "Beanies and berets for best friends" you will meet two girls who will listen to your opinion with pleasure in choosing a dress with a hat. As the game begins, you can proceed to choose one of two types of headgear, and then pick up his hair, jacket, sweater, pants, shorts and shoes. Of course, you can choose a fashionable bag and glasses. If you like the game, check out other girlfriend dress up games on our website fungirlsgames.net. Played: 3078. Added: 8-12-2018, 10:41. Beanies and Berets dress up game.